When a roadside emergency occurs it could be a very stressful time. Here are some steps to take before roadside assistance services arrive. 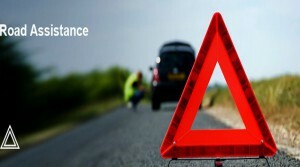 Moreover, just because you have roadside assistance doesn’t mean that you don’t need an emergency kit in your vehicle. It’s better to be as prepared as you can be. What if your cellphone battery was dead and you didn’t have a way to get it charged? You wouldn’t be reaching out to roadside assistance then until you got to a phone. All kinds of emergency situations can arise, and you have to be prepared. Let’s say that you do have your cellphone, and you do have roadside assistance and an emergency kit. Well, it’s time to get ready for help to arrive because they will take care of everything else. Is your vehicle off of the road? If not, this is the first thing you need to have done. You should even do this before you get in touch with roadside assistance. You don’t want to put you or anyone else in danger. Since your vehicle is going to be on the side of the road, it’s easy to pass and much less visible. However, to continue to keep yourself and others safe and to help the roadside assistance crew spot your vehicle, you need to make your vehicle more visible. There are many things you can do, and the most common is to use the hazard lights. There are markers and flares, and of course you have to take into account whether or not you are stranded during the daytime or nighttime. An emergency roadside assistance crew needs to be able to find you as quickly as possible. If it’s police assistance that you’re in need of, a white cloth is typically used as well as raising the hood to show them that help is required. Some people like to wait for the roadside assistance crew while standing outside of the vehicle, but you should know that it’s always better if you wait inside. The emergency roadside assistance service will be there soon enough, and you’ll be back on the road and heading to your destination. Having to get your vehicle towed is never any fun, but it is something that happens. This often means you have to find a wrecker service to tow your vehicle for you, which can actually be quite a bit more challenging than what you think. However, to avoid selecting the wrong company, you should use some tips to help you in locating the best service on the market. Coverage areas are going to be one of the main things that you need to look for. While a lot of times a service will tow your car wherever you want it to be towed, if you go outside of a certain radius for the business the chances are good that they are going to charge you quite a bit more money for towing outside of this radius. So make sure you inquire about their fees and if they have a radius set up that they are willing to two within for a lower rate. 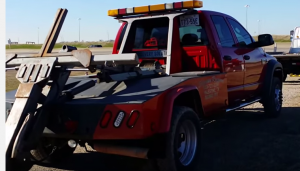 Proper tow trucks to get the job done is something else you need to be mindful of. Often a towing service will have several different trucks to use, but in some of the smaller companies they will be limited in the type of vehicles they have available to use for towing. So you will want to make sure you know about the vehicles that are in the fleet and that it is going to be able to tow your vehicle. For example, front wheel drive vehicles require a different type of wrecker. Time frame it will take before the service arrives to tow the vehicle is something else which people need to consider as well. While people generally would not think about this, they need to realize if they are broken down on the side of the road they need to make sure they know about how long it will take before the wrecker will arrive to get their vehicle towed. When people are looking at getting their vehicle towed, they need to realize they will generally need to hire a wrecker service to help them out. This is when people may select the first one in the phone book. However, this could be a mistake because of the work the service is doing. To avoid making a mistake, people should know some tips to help them in locating the best wrecker service. It becomes necessary to engage flatbed towing company when your vehicle breaks down or is in involved in an accident, and needs to be taken to a garage or parking lot for further action. Towing trucks can be used to pull along the damaged vehicle by raising its front, hooking on to it and dragging it to the required location. It requires the damaged vehicle to roll on its tires and makes the entire combination a risky one. 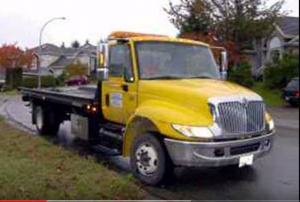 Flatbed towing, on the other hand, raises the damaged vehicle onto a flatbed truck, secures it in place, and then the entire unit is driven to where it is needed. The damaged vehicle rests entirely on the flatbed towing service and is not subjected to any push and pull strains that can come to it from conventional towing. This action saves any additional wear on tear on its tires and other parts. Our method of towing is also very useful for transporting boats or other equipment. You will often see these trucks conveying huge pieces of earth moving equipment to sites where they are required. In flatbed towing, the towing vehicle has a ramp that can be lowered onto the ground to enable the damaged vehicle to be quickly raised onto the truck. The operator of the tow truck will position the flatbed ahead of the vehicle that needs to be towed. A hydraulic system then lowers the ramp on the tow truck and ensures that it is aligned with the front wheels of the vehicle in distress. The flatbed tow truck also has walls on either side and these act as a guide for the vehicle while it is being pulled onto the truck. The vehicle being towed needs to be in neutral gear so that its wheels can roll easily. A cable attached to a winch on the tow truck is then engaged to the damaged vehicle and used to pull it onto the ramp and then onto the towing truck. The ramp is then lifted back to its original position. Once the vehicle is safely on the flatbed wrecker, it is put into gear, and the emergency brake is set on. Extra measures to secure the vehicle may also be taken by tying it down to the truck. Flatbed towing services is the safest way of towing vehicles and ensures that your vehicle quickly gets from Point A to Point B with the least bit of damage. There are plenty of reasons a car stops dead on the road. There could be mechanical issues or it could be the car simply ran out of gas. Whatever the reason is, you need help and need it fast. Even if the problem is as simple as a dead battery or a flat tire, you cannot afford to be held up. Whether it is late at night, you need to get to work or the weather is miserable and you are stranded, you need a 24 hour towing truck company to help you. You should be able to call any time of day and reach a live dispatcher who can help you with any problem surrounding your car not starting. They should be able to help you fix a flat, refuel an empty gas tank and help you jump start, recharge or even replace the car battery. In some instances, you may need to have your ignition key fixed and replaced. 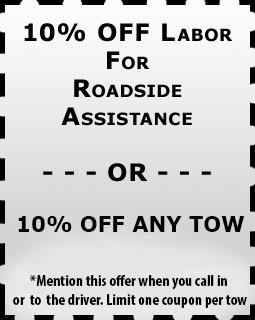 A really great tow truck company will offer roadside assistance. This is done by an experienced automotive technician who can assess what is wrong with your car once at the scene. They can make a diagnosis right there and get the car towed safely to the perfect mechanic so that it can be worked on promptly. If this happens after hours, they can still help and get your vehicle to your designated auto repair shop. The problem many people have is that they are already stressed and anxious when they go to call for a 24 hour tow truck company. You should have a good recommended company in your cell phones contacts before you need them. You want to be able to contact the company and get help in about 30 minutes. You do not have time to wait, especially if the weather is bad or it is late at night. You also do not want to have to call, get a tow truck out and find out you are expected to pay a small fortune for the help. The company you work with should provide all the services listed above and should do so for a great price. When they end the phone call, you should know exactly what you will be paying and you should know your tow truck will be arriving within minutes. Owning an automobile is great because it is a reliable source of transportation. However, a car is not reliable because it can break down or experience a collision suddenly. During such times, you can only rely on a local towing service for assistance. Otherwise, you might end up stranded in the middle of a highway. As a car owner, it is important to have a reliable towing company that you can reach out to during such emergencies. However, finding a reputable company that offers these services is not an easy task, and it can take hours or even days to find one. Many towing companies are based locally and because of this reason, it becomes difficult for clients to conclude which company offers the best towing services. However, with the aid of the following tips, you can be able to find a local towing company that is reliable for a quality job. 1.To find a reliable towing company in your area, the first thing you should do is seek reference from other car owners. As a car owner, you are not the only one who is facing car issues. Other car owners have gone through the same experience, and they solved this issue by contacting a local towing company. By asking for a reference from search individuals, you will have a better chance of finding a certified towing company that you can rely on. 2. Besides asking for reference from friends and relatives, you can also use the local directory to search for a local towing company. Top towing companies are listed in the local directories, and all you need to do is use your specifications on what kind of towing company you are looking for to conduct a search, and the results will be provided for you. The local directory will provide all the details you need about the company including the address of the company. With such details, you can contact the towing company of your choice and gather all the relevant information that you need. 3. 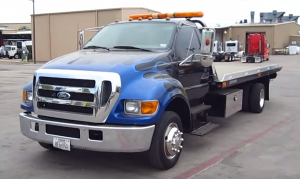 The best towing services can only be offered by a licensed, insured and bonded towing company. If the company you choose lacks such credentials, then you might want to deal with a company that has all these details. Firebird Towing is the most reliable local towing services in Georgia. We offer local towing srvices all throughout are not easy to find, but with the help of these tips, you can find a professional local towing company that knows how is best to handle your car and you as a client.